Business suits don’t have to be like office uniforms in the traditional black, grey and navy. With so many different cloths to choose from, you can distinguish yourself from the crowd without compromising your professionalism or sporting the wrong look for your business environment. For instance, you might adopt a much less conservative look in a creative business (see our suits galleries for inspiration). A banking or legal environment calls for a more formal choice that complements your role but also reflects your personal style. 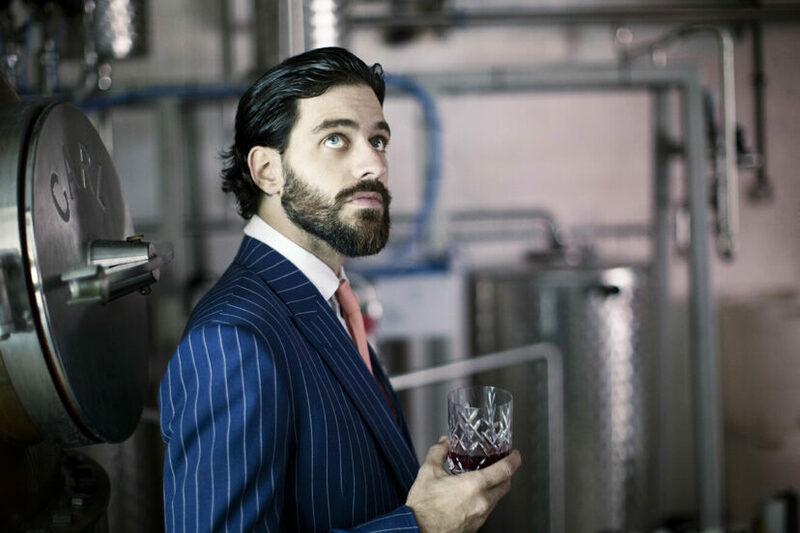 Cad & The Dandy work with you to decide on the best cloth for your suit with an extensive choice of plain fabrics, stripes, checks and herringbones in a wide range of colours, whatever your working environment. Cad & The Dandy take pride in working closely with customers to create the perfect silhouette and fit for their individual requirements, and our skilled cutters pay exceptional attention to detail and accuracy when taking measurements so that a perfect fit is guaranteed.